Enjoy the best inspirational, motivational, positive, funny and famous quotes by Andrea Anders. Use words and picture quotations to push forward and inspire you keep going in life! Im ridiculously fortunate to get a chance to experience the sitcom world. 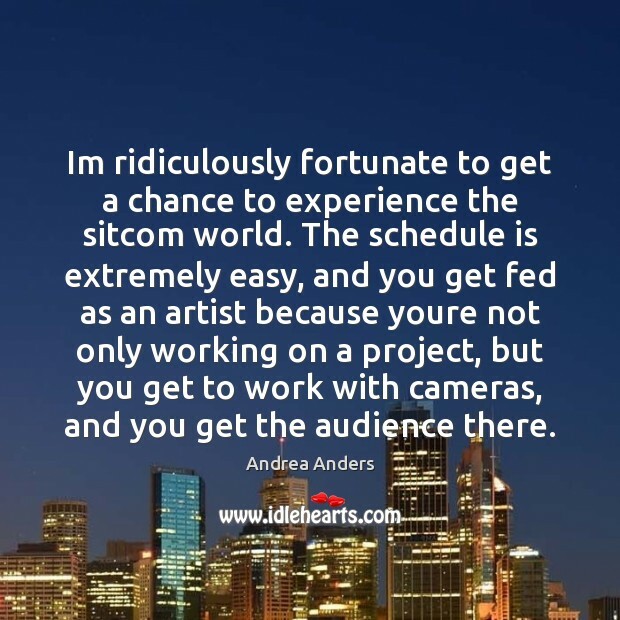 The schedule is extremely easy, and you get fed as an artist because youre not only working on a project, but you get to work with cameras, and you get the audience there. Most of my training at graduate school was geared towards drama, so I feel good about it, and I can do it, but it requires a lot more work from me. I feel like with drama... well, with all acting, really, you need to honor the truth of the situation.